We want to see you at Metabolomics 2019, the 15th International Conference of the Metabolomics Society! Reserve a room at the group rate before they are sold out! World Forum is an international conference venue located in The Hague between the city centre and the beach. The WF aims to be the number one venue in The Netherlands in the areas of safety, service and education. All conference activities will take place at the World Forum Convention Centre, with the exception of the conference dinner. Dorret Boomsma (Vrije Universiteit, Amsterdam, The Netherlands) focuses in her research on the causes of variation in mental and somatic health, as a function of development, genes and environment. She established the Netherlands Twin Register, which over the past 30 years recruited >75,000 twins and >100,000 of their family members, including the parents and offspring of twins (see: http://www.tweelingenregister.org/). These data form the basis for genetic and multi-generation studies of complex traits, including OMICS. Participants completed longitudinal surveys, underwent periodic testing, and donated DNA, RNA, blood, and other biological samples. Through combined twin and ‘omics’ studies Boomsma’s research has led to a better understanding of the influence of the (epi)genome and transcriptome on physical and mental traits. Her work has led to numerous papers and awards, including the Spinoza prize, the James Shield Award for lifetime achievement in Twin Research and the Dobzhansky Award for lifetime achievement in Behavior Genetics. 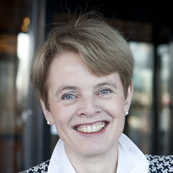 She is a member of the Netherlands Royal Academy of Sciences and the Academia Europaea. Currently she is PI of the FP7 ACTION (Aggression in Children: Unraveling gene-environment interplay to inform Treatment and InterventiON strategies) consortium (http://www.action-euproject.eu/) and an active board member of BBRMI-NL (Biobanking and BioMolecular resources Research Infrastructure The Netherlands: http://www.bbmri.nl/). She supervised over 50 PhD students, many of whom went on to establish independent science careers. 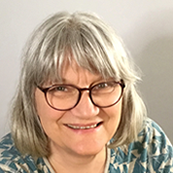 Cathie is a group leader at the John Innes Centre and Professor at the University of East Anglia. Her interests span from fundamental to applied plant science. She researches into the relationship between diet and health and how crops can be fortified to improve diets and address the global challenge of escalating chronic disease. This work has involved linking leading clinical and epidemiological researchers with plant breeders and metabolic engineers to develop scientific understanding of how diet can help to maintain health, promote healthy ageing and reduce the risk of chronic disease. Cathie is also involved in genetic screens to identify crops which lack toxins that cause nutritional diseases, and has recently initiated a collaborative project with China to research on Chinese Medicinal Plants. Cathie was Editor-in-Chief of The Plant Cell (2008-2014) and is now an Associate Editor for Plant Physiology. She is a member of EMBO, AAAS, a Fellow of the Royal Society and in 2013 she was awarded an MBE for services to Plant Biotechnology. Jean-Charles Portais is Professor of Biochemistry at the University of Toulouse (France). He is developing systems biology approaches for the comprehensive understanding of metabolism, with applications in health and biotechnology. He is developing a wide range of approaches that provide a detailed measurement of the response of cellular metabolic networks to change in genome or environment, including quantitative metabolomics, 13C-based intracellular flux analysis and computational modelling of metabolic networks and their regulation. Prof. JC Portais is also heading the Metabolomics & Fluxomics Centre of Toulouse, which merges the scientific expertise and tools of 4 major biology and biotechnology laboratories in Toulouse (France). 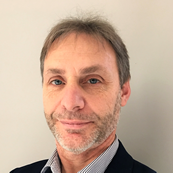 Prof JC Portais is also co-founder of the French (now Francophone) Network for Metabolomics & Fluxomics, a scientific society that aims at the promotion of Metabolomics & Fluxomics in France, and Founder and Partner of the French National Infrastructure for Metabolomics & Fluxomics, MetaboHUB. Joshua Rabinowitz grew up in Chapel Hill, North Carolina. In 1994, he earned B.A. degrees in Mathematics and Chemistry from the University of North Carolina. From there, he moved west to Stanford, where he earned his Ph.D. in Biophysics in 1999, followed by his M.D. in 2001. In 2000, he co-founded Alexza Pharmaceuticals leading R&D efforts there for four years, eventually resulting in FDA approval of the first thermal aerosol drug delivery product, the Adasuve inhaler. 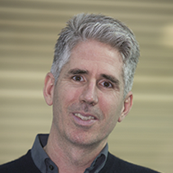 In 2004, Joshua joined the faculty of Princeton University, where he established a leading research group in the area of metabolomics. His lab has developed innovative ways to use isotope tracers to map metabolic flows (fluxes), and has blended these technologies with state-of-the-art genetics and computation to reveal normal metabolic regulation and dysregulation in disease. These technologies have contributed to important biomedical advances, including the discovery of the oncometabolite 2-hydroxyglutarate, and to the founding of multiple companies. Joshua is the author of more than 100 papers, the inventor of over 100 patents, and the winner of the 2016 NIH Pioneer Award.